The Library aims to provide a comprehensive, up-to-date source of information on bells and ringing, with particular emphasis on bells hung for full circle ringing and change-ringing in the ‘English’ tradition. 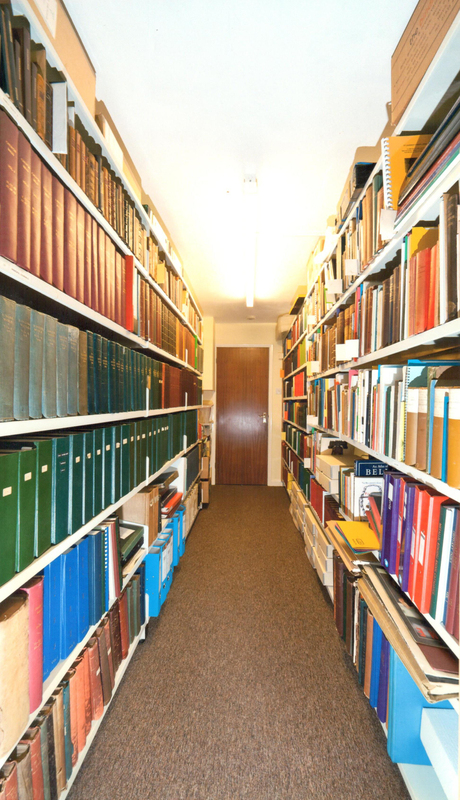 It is not just an archive but a working collection, which is available not only to the serious researcher but also to the casual enquirer who wishes to find out something about some aspect of ringing. ◊ personal visit – as the library is held in a private house, it is necessary to make prior arrangements before visiting. More modern books can be borrowed for up to two months by members of societies affiliated to the Central Council, but the earlier and more valuable books and manuscript items cannot be borrowed and can only be consulted in the library. The librarian is prepared to spend time looking up topics in the library, but should this take a long time he would expect a donation towards the work of the Library. The Library is very comprehensive on church bells and change ringing and it is the intention to maintain that status. Thus efforts are made to obtain a copy, either by donation or purchase, of any relevant book that is published. Efforts are also made to obtain any earlier books, or editions of books, that the library does not hold. It is also our aim to hold complete sets of annual reports for ringing associations, and great strides have been made in recent years, not only in filling gaps but also with binding up runs of these in order to conserve them. Newsletters too are of interest, but our collection is not as good as it might be. The library holds duplicates of a number of books. If a donation were offered to the library of books of which we have more than one copy then this would be declined with thanks unless the copy offered had unusual characteristics, perhaps out of a notable collection or maybe a proof copy. Otherwise we would suggest that the book would be better placed in the local association library. If it is decided to dispose of it otherwise, advice can be given on this. The library also holds a collection of ephemera – material that is not designed to be kept but is nonetheless very interesting, such as broadsheets, peal cards, membership certificates, etc. There is also a fairly comprehensive collection of ringing badges. Clearly there is a mass of such material and what is kept in the library is very selective, so if you wish to donate similar material to the library, please check with the librarian first to see if it is appropriate. Space is limited!